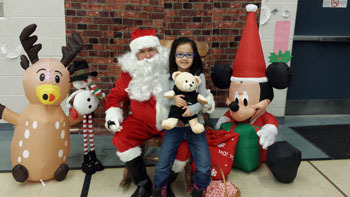 St. Monica Catholic Elementary School in Markham recently welcomed Santa Claus to the school for its ‘Build an Animal/Old Fashioned Bake Sale’ event. 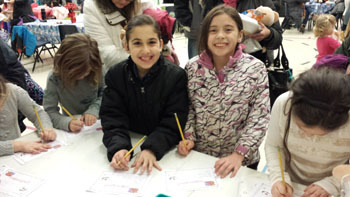 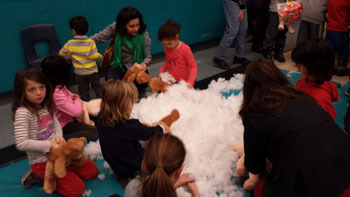 The event featured tasty baked treats, family-friendly activities, Christmas music, and of course photos with the ‘Man in Red.’ Students stuffed and dressed furry plush animals creating great stuffed animal toys. 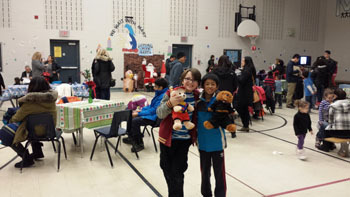 The school also collected new, unwrapped toys as part of a toy drive campaign that aims to see every child wake up to a new toy on Christmas morning. 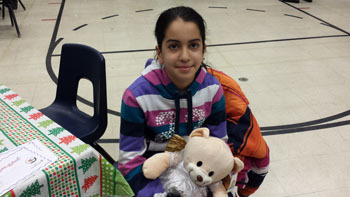 The toys were dropped off to the nearby fire hall. 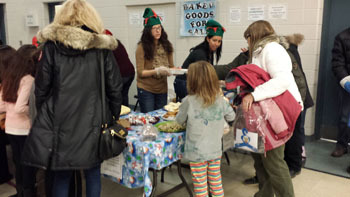 Visitors viewed a slideshow featuring all of the school’s classroom’s decorated doors, which students had adorned as part of a friendly competition earlier in the season. 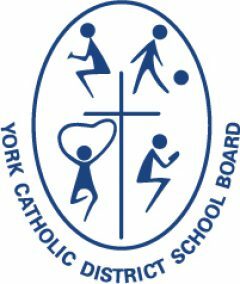 Overall, it was a great community building event that students and their families, as well as school staff will remember for years to come.